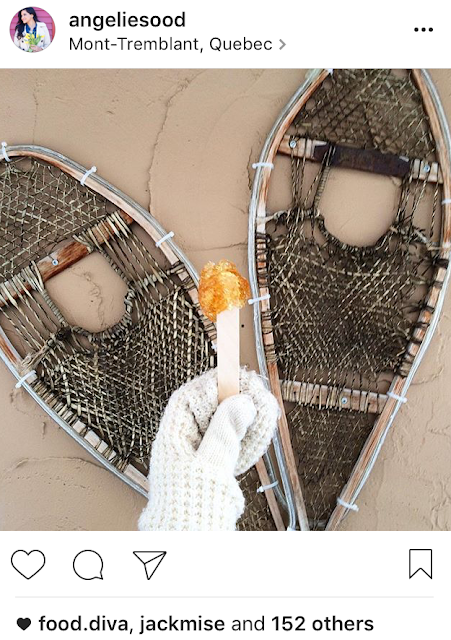 My birthday falls smack in the middle of the coldest part of winter so I am always up to get out of the house and do something to embrace the great Canadian outdoors. This year, my husband planned a weekend getaway for us to celebrate my big day. Since I'm usually the one who plans outings and excursions, my only request was that he not tell me where we were going. As hard as it was not to know, it was probably also the best thing, since I was so excited...but I didn't know what I was excited for. It meant that while I knew to pack a bag and clothes for cold weather, I was still in the dark. It really felt like a birthday gift, since I didn't figure out where we were headed until about 15 minutes before we got there. To say Mont Tremblant is picturesque is definitely an understatement. We drove there from Brampton, Ontario, stopping for a night in Kingston. If you head there straight from Toronto, the drive should take about 6 hours. 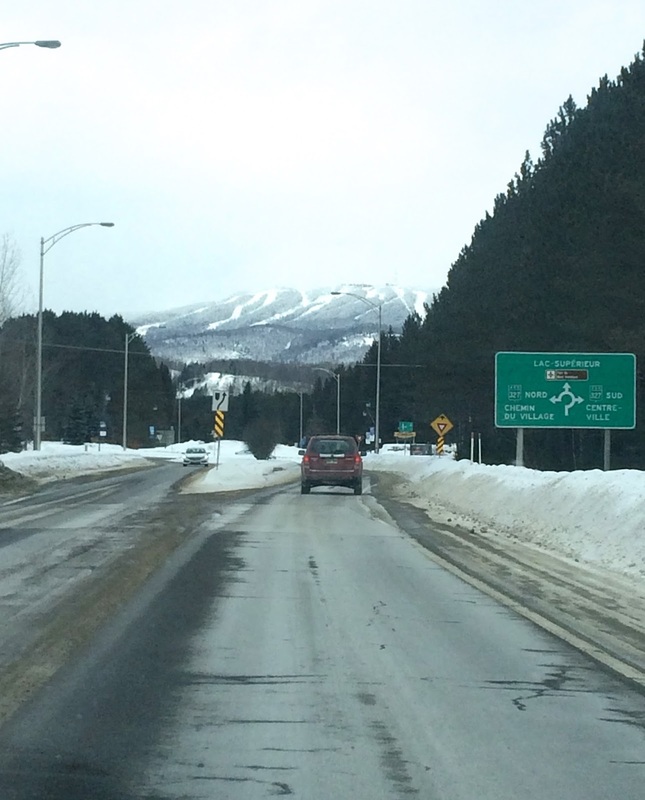 I was so excited and surprised when we started to see ski hills in the distance from the road. They looked so majestic and beautiful - white paths of snow flowing down the hills like milk. I normally love to ski but I had recently hurt my back so skiing was not in the cards for this trip. But I realized when we got there, that there's tons to do even if you stay off the slopes. 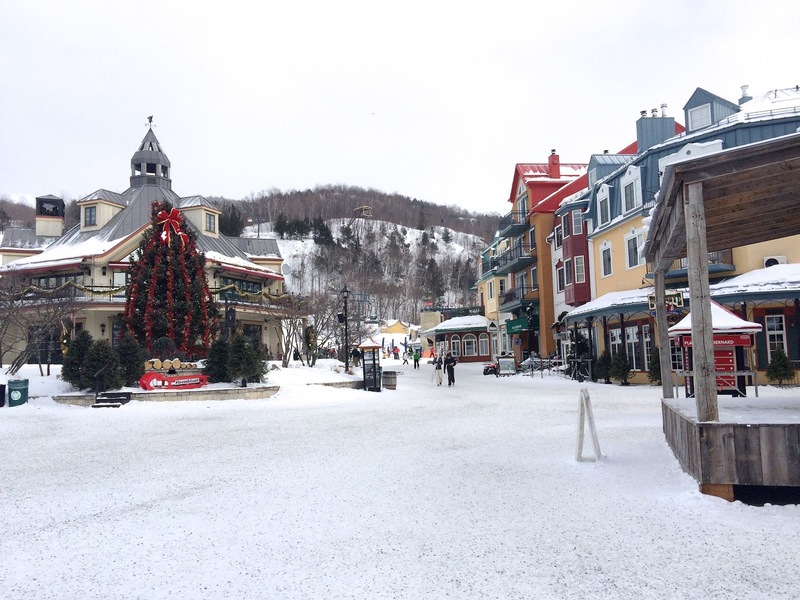 The Mont Tremblant Village has a very Scandinavian feel. When I saw the coloured houses and shops for the first time, nestled between snow covered hills, my mouth fell open. It was so beautiful - like a scene from a movie. The hotels, shops and restaurants are all at the foot of the ski hills. 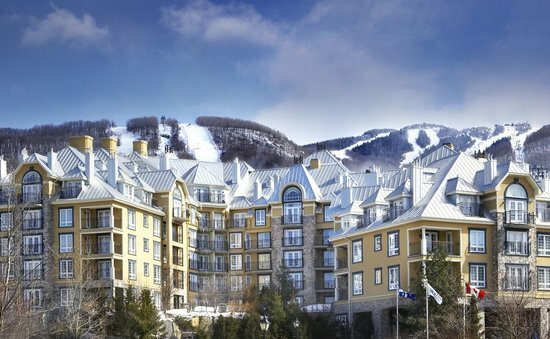 You can literally ski off the slopes and to the door of your hotel. How amazing! Walking through the village, I really felt like I was far away from Toronto. 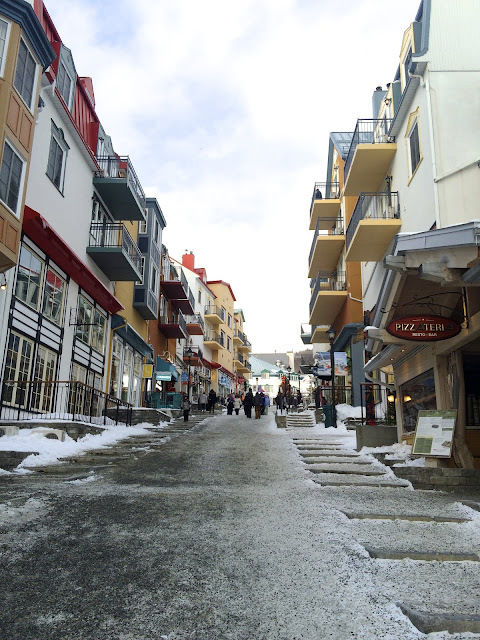 The vintage style buildings covered in snow and the narrow walkable streets made me feel like I was in Europe. Mont Tremblant is a "pedestrian village", so you can walk from place to place quickly and easily. 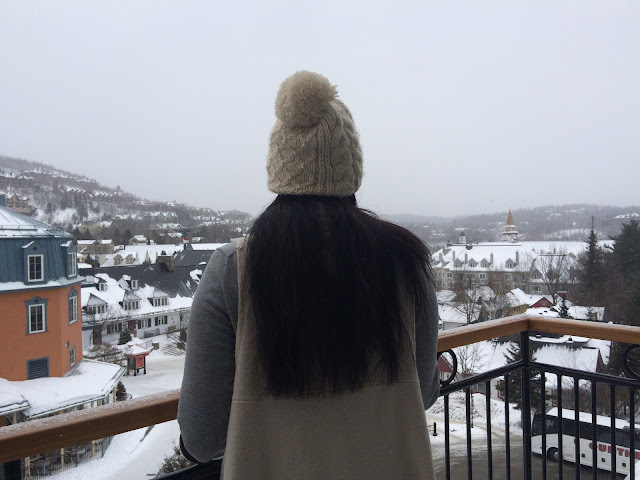 I love the fact that the resort is in Quebec, so I had a chance to practice my French. With the french language and cuisine all around us, we really got a unique cultural experience - even though we were so close to home. 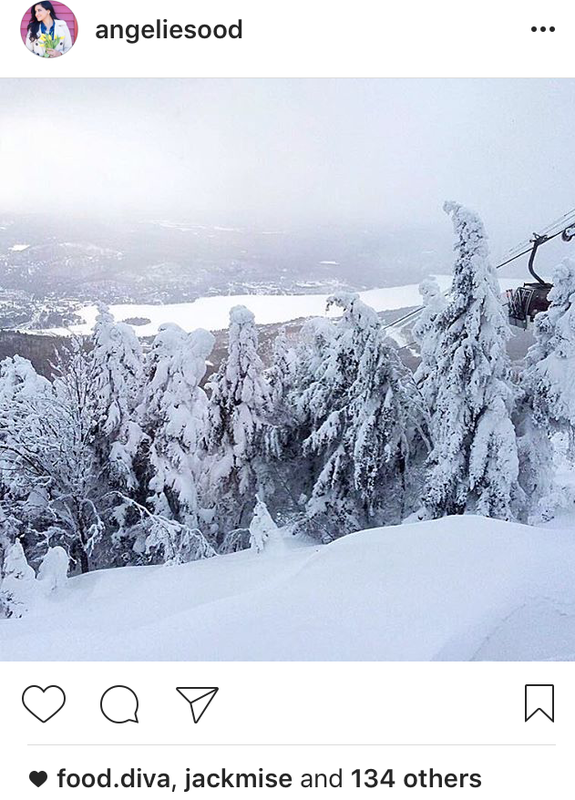 I'd highly recommend checking out Mount Tremblant if you're looking for a unique travel experience (especially for a family) without breaking the bank. 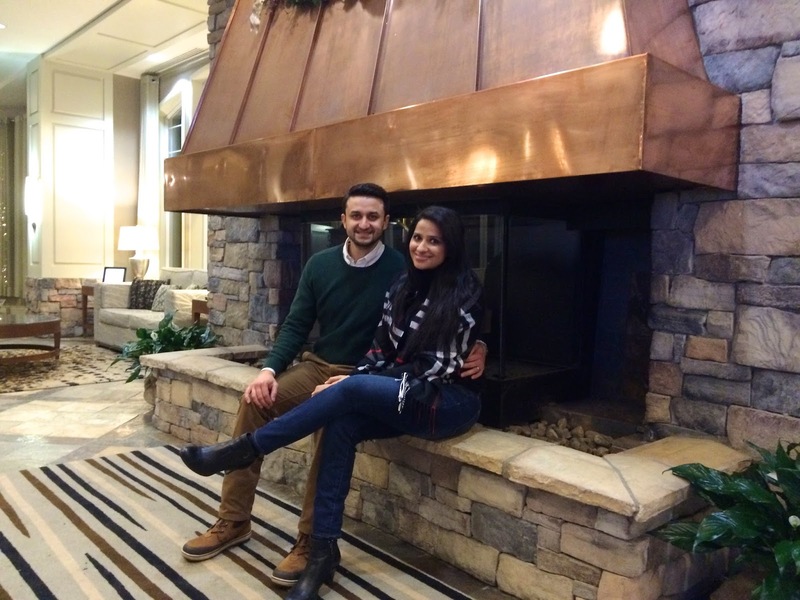 We stayed right in the heart of the village at the Westin Resort and Spa. 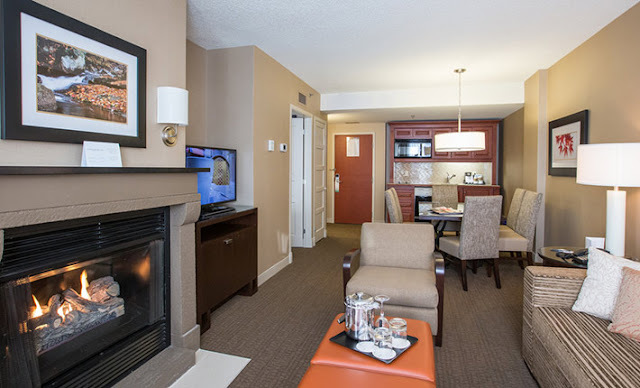 It's a beautiful hotel in a very convenient location. Once we valeted our car, we literally did not use it again until we were on our way home. Everything we wanted to do was within walking distance from our hotel! This really added to the resort feel, as we could wander around the winter wonderland and then easily go back to our room to warm up. We stayed in two different rooms over the course of two nights. 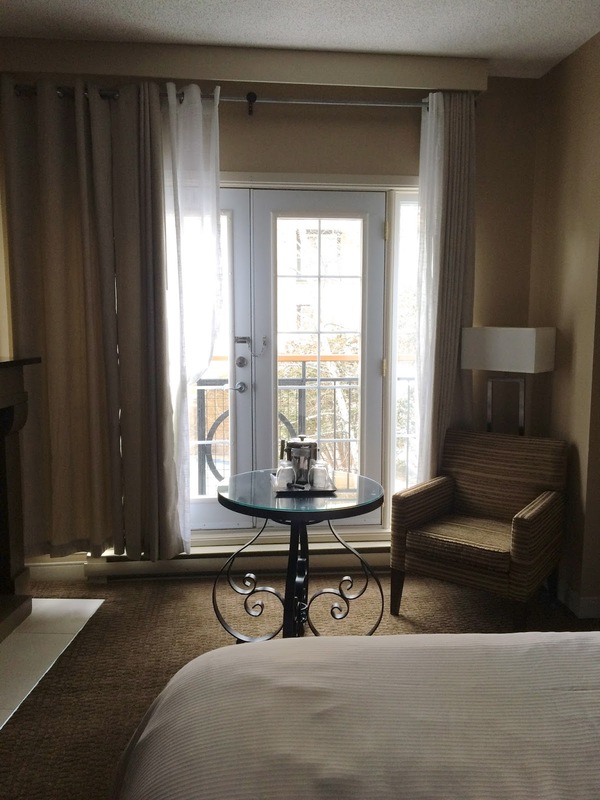 The first room had an amazing view of the hotel's central courtyard. 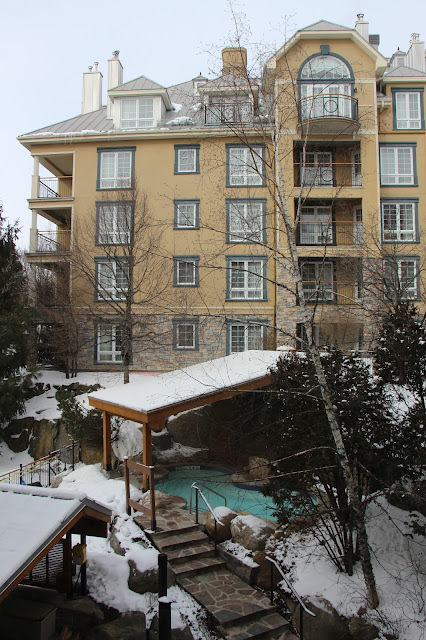 We loved having a hot cup of tea in our room while watching guests enjoy the outdoor hot tub as the snow fell all around. It was truly magical. The room itself was a great size with a sitting area and a small kitchenette hidden in the armoire. With a sink, coffee maker, kettle, toaster, mini-fridge and dishes - we were pretty set for the weekend. The second room that we stayed in (because hubby wanted a view of the village) was also lovely. This one was a suite with an incredible view of the colourful shops and buildings. We could see a church and even chairlifts as they went by. It seemed as if we were actually inside a snow-globe. I loved standing out on the balcony and watching the snowflakes fall gently to the ground. In fact, I had to be reminded to come inside as I wasn't even wearing my coat! Besides the view- the suite also had a spacious bathroom, living room, full kitchen and dining area. The hotel also has an on-site restaurant which I've heard great things about but we did not get a chance to try it out this time. What we did use was the outdoor hot tub. 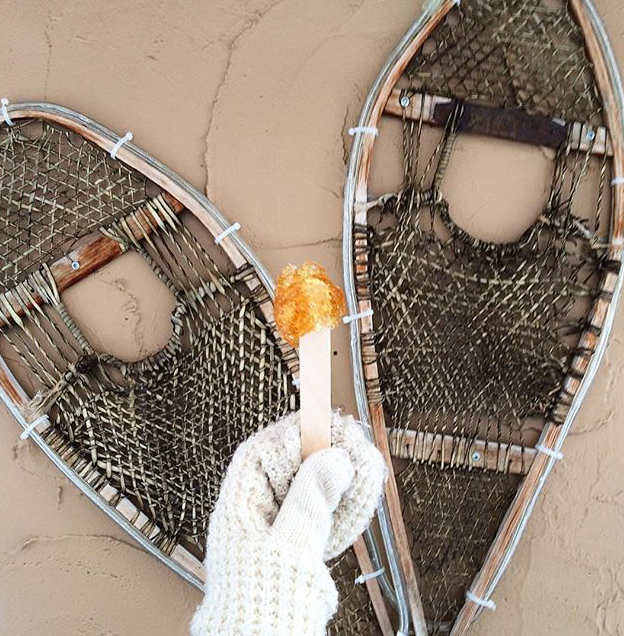 Call me Canadian, but it's one of my favourite things to do on a winter getaway. They had a heated pool as well, but with temperatures of -20 the weekend we were visiting, I decided the hot tub was more my speed. 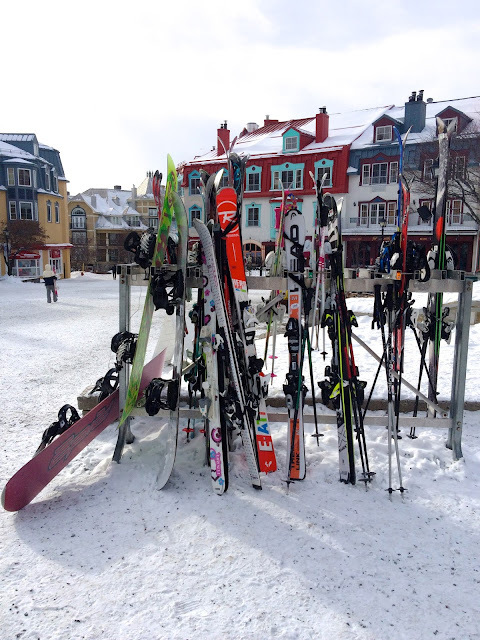 There's lots to do when you visit Mont Tremblant. We were there for two full days but still did not do everything we wanted to. The major attraction is obviously the skiing. If you plan to ski, it's good to note that lift tickets are not included in your stay, but there's plenty to do regardless. What is covered is use of the outdoor skating pond as well as passes to go snow-tubing. I've always wanted to try tubing so this was high on our priority list and it did not disappoint. On our second day we decided to purchase some lift tickets to head up the mountain and check out the view. The ride in the glass enclosed chair-lift was amazing and I had fun getting some great photographs of the snow covered trees. There's a small cafe at the top of the hill as well where you can grab a coffee or beer and watch the skiers as they make their way down hill. There's lots of boutiques in the village itself that are perfect for window shopping. Just stolling along the narrow paths, admiring the view was a great way to spend our time. One of my favourite things to do was to sit by one of the many outdoor fireplaces and just soak in the ambience (while staying warm of course). Next time we visit we'd probably want to check out the Scandinave Spa with it's outdoor thermal pools and do some antique shopping. We saw some great stores on the way home, but with the snowy weather decided we'd have to save the shopping for our next visit. Clearly this is my favourite topic of discussion. 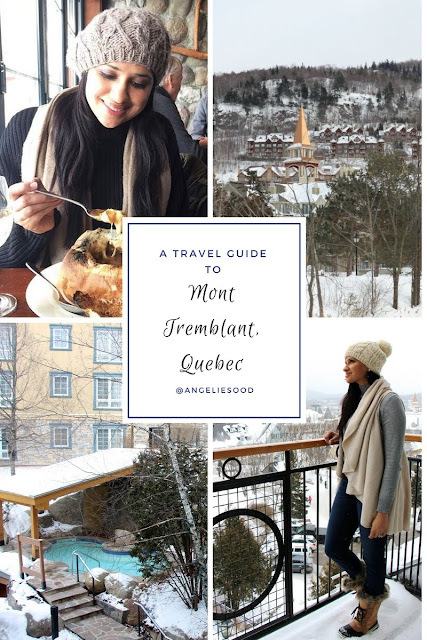 When I travel, I love trying the local dishes and I was really impressed by the food in Mont Tremblant. 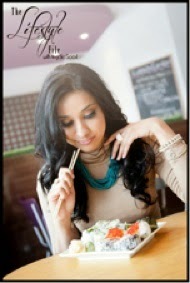 Here's a few places you just have to try when you in the area. This is located right at the foot of the ski hills. If you are lucky you may get to sit by the windows for a perfect view of skiers swooshing past. We also tried the lobster mac and cheese as well as the duck wings - they were both delicious! 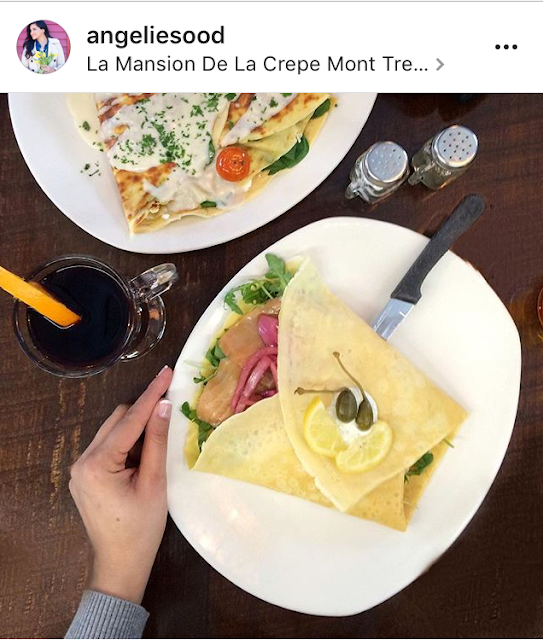 We went to La Maison de la Crepe for brunch and it was the perfect spot. I enjoyed a smoked salmon crepe with tomatoes and pickled onions (these are a must - make sure you order a crepe that includes the pickled onions) and my husband tried something with ham and cheese. We both loved the savoury crepes and thought it was the perfect french fare. They also have dessert crepes on the menu so make sure to save some room. This is a micro-brewery and the locals love this spot. It's really busy and the service is quick. We came here after appetizers at a fancy spot on my birthday. 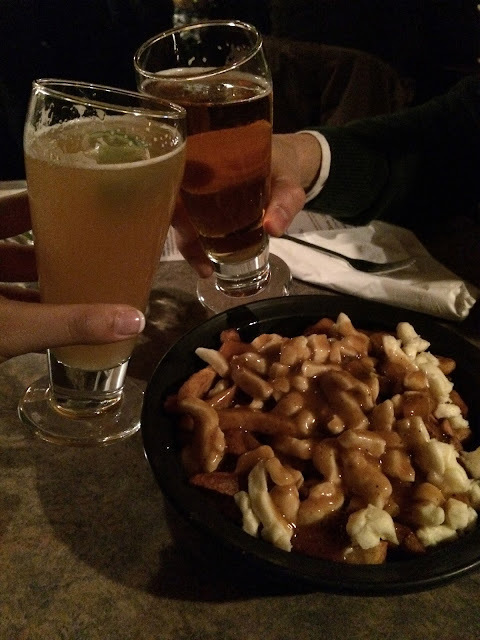 We ordered some beers and a poutine and couldn't be happier with the casual food and quick service. A family friendly place with a fun ambience. The restaurant is decorated to look like a Canadian Borreal forest. We enjoyed having their specialty - the baby back ribs. They were so good- worth going back for. The only downside was Le Shack is a very busy restaurant in the evening. Next time, I'd go around lunchtime for faster service. We didn't end up eating here but this is the first place I would book the next time I visit Mont Tremblant. 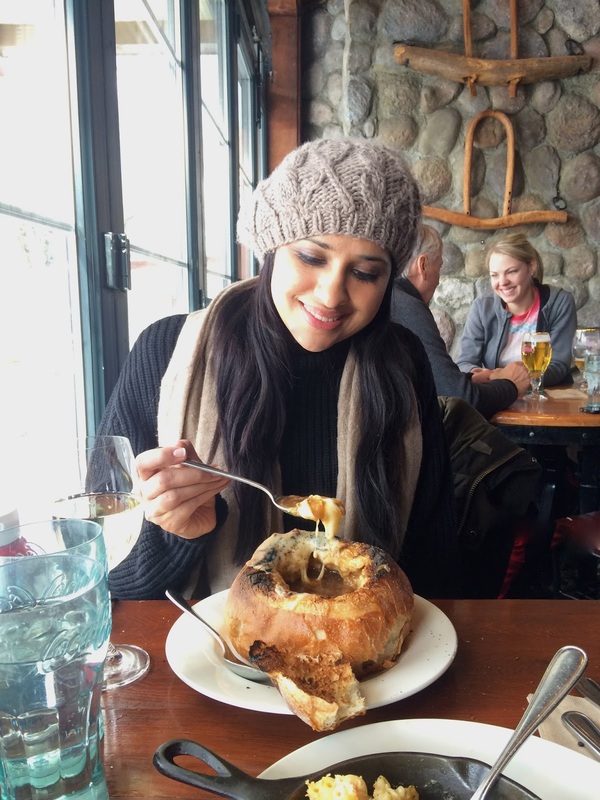 La Savoie specializes in fondue and sharing plates. 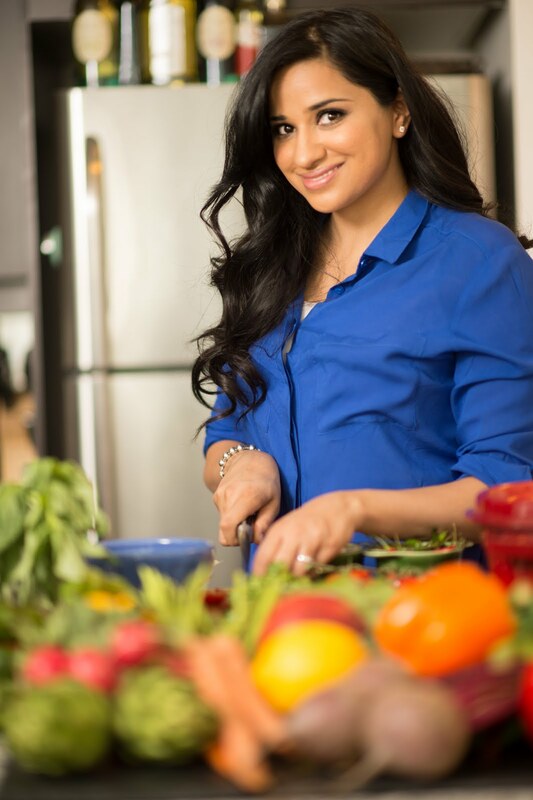 They have a prix fixe style so make sure you're hungry and that you make a reservation ahead of time. 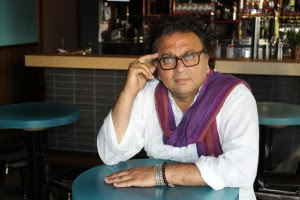 It's a casual place that's always busy but also it's a unique and memorable dining experience to have while you're in Quebec. 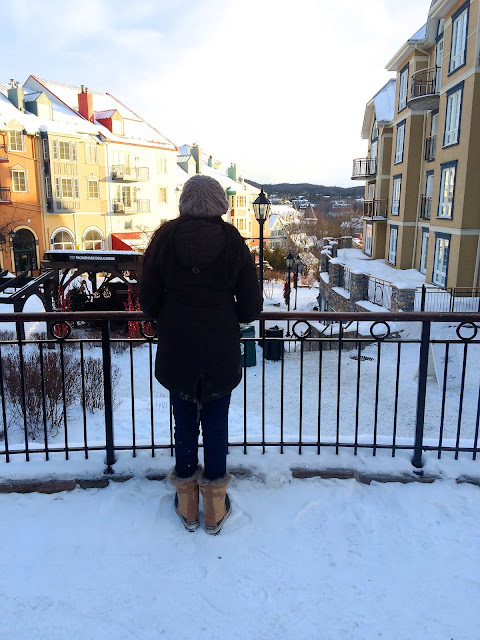 Overall, I loved Mont Tremblant and would definitely recommend it for a 2-3 night stay. Only 6 hours from Toronto and about 2 from Montreal, it's a great choice for a Canadian getaway. Obviously people flock here in the wintertime to enjoy the outdoor sports and the chalet vibe but I've heard from friends it's a lovely place to come to in the summer as well - especially for families since there are so many activities to do. It's a great place to get a feel for French culture and get some rest and relaxation. If you decide to visit, hope you have as great a time as we did. Quebec has always been a place which I want to visit always. I would like to thank you for providing traveling tips to Quebec. You will find greenvisa.io from visa service providers who will provide you with extensive Vietnam visa information and the process of obtaining Vietnam visa on arrival. Online travel offices offer a faultless administration at low commissions. Contrasted with a stroll in travel organization, you will likely spare more cash on operator expenses thinking of you as pick the travel organization shrewdly and get your work done to look at costs of other existing on the web travel offices. I am hoping the same best effort from you community for travelers in the future as well. In fact your creative writing skills has inspired me. While you can organize apparently a large portion of your travel yourself, you can't work out quite as well as your travel specialist in a long run! Thanks for your sharing. This article is one of the most impressive ones. I love to read your posts. I wait for them everyday. 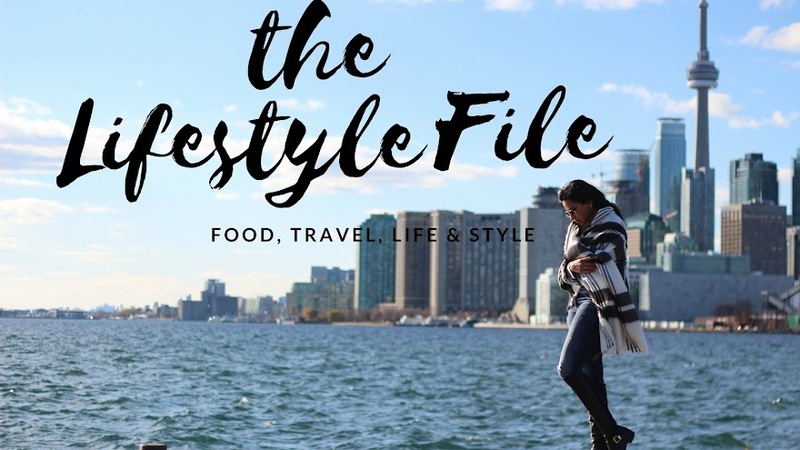 Thanks for sharing this travel guide with us. 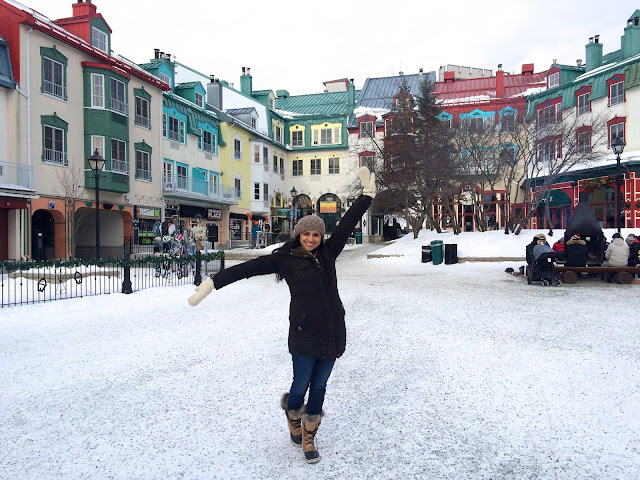 Quebec is a winter enthusiast’s paradise. And one of the must-visit places on your Quebec travel radar should be Mont-Tremblant. Same Day agra Tour best tour package for visit taj mahal. Thanks for the nice blog. It was very useful for me. Keep sharing such ideas in the future as well. You shared awesome place to visit and pictures also. Loved this post!